Here at Suffolk Secrets, we have holiday cottages that are big, small, round, long and thin. None are boring, many are quirky and we love properties with a little originality. 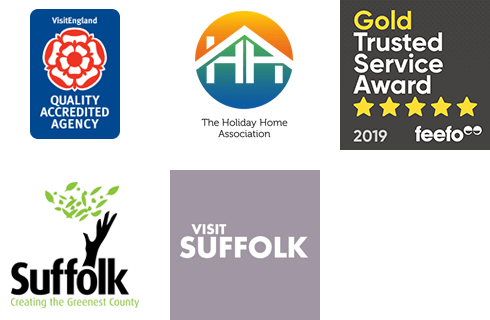 If you're looking to stay somewhere extra special when taking a holiday to Suffolk, then look no further than our great selection of unusual holiday cottages. Picture perfect, you'll struggle to leave these properties, and the holiday shots will be beyond compare. You could find yourselves staying in a shepherd's hut, boathouse or converted mill. Sampson's Mill dates to as far back as 1774 and has charming, fairytale exterior. The small turret could be taken from the page of a storybook with its vine flowers that wrap around its tower. Sage and Thyme are the pinnacle of cosy, two adorable shepherds huts surrounded by unspoilt Suffolk countryside. With one red and one blue, guests will want to take the huts home with them. Below are our wonderfully unusual holiday cottages. For the ultimate unique Suffolk holiday experience, give us a call and speak to one of our friendly team on 01502 722717. This beautiful converted windmill located in pretty village of Wickham Market provides the ultimate couples retreat ideal for those looking for something a little bit different in Suffolk. A unique property, guaranteeing an authentic Suffolk stay with breath-taking views of Southwold Harbour and surrounding areas. Featured in Channel 4’s ‘Homes by the Sea’, The Perch enjoys a glorious beachside location with breath-taking views from every angle. Designed and built to the highest specification, The Perch offer stylish, contemporary, holiday living for 4 adults. Architect designed and in a prime position, Blackshore Corner has stunning views across the harbour, common and beyond. The living area is located on the first floor and beautiful woodwork features heavily inside.